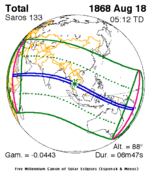 Solar Saros 133, repeating every 18 years, 11 days, contains 72 events. 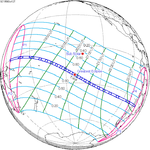 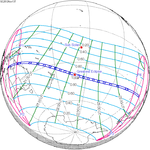 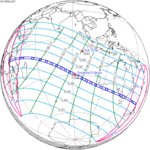 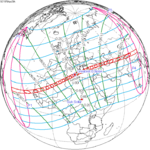 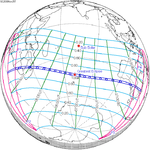 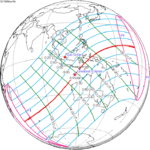 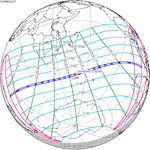 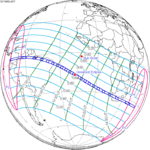 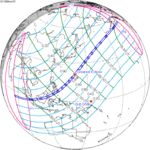 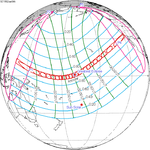 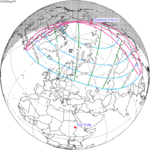 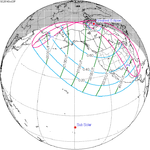 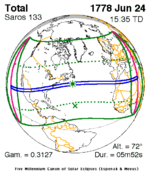 The series started with a partial solar eclipse on July 13, 1219. 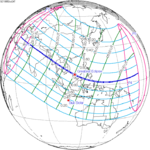 It contains annular eclipses from November 20, 1435, through January 13, 1526, with a hybrid eclipse on January 24, 1544. 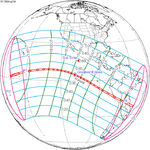 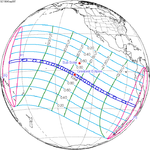 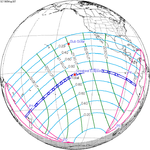 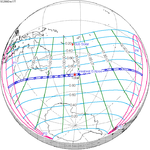 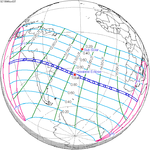 It has total eclipses from February 3, 1562, through June 21, 2373. 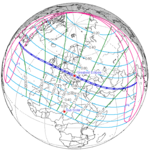 The series ends at member 72 as a partial eclipse on September 5, 2499. 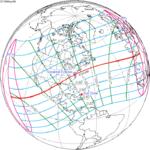 The longest duration of totality was 6 minutes, 50 seconds on August 7, 1850. 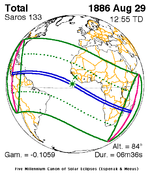 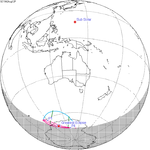 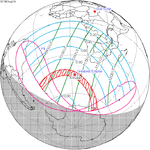 The total eclipses of this saros series are getting shorter and farther south with each iteration. 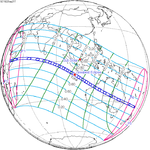 This page was last edited on 31 January 2019, at 23:05 (UTC).